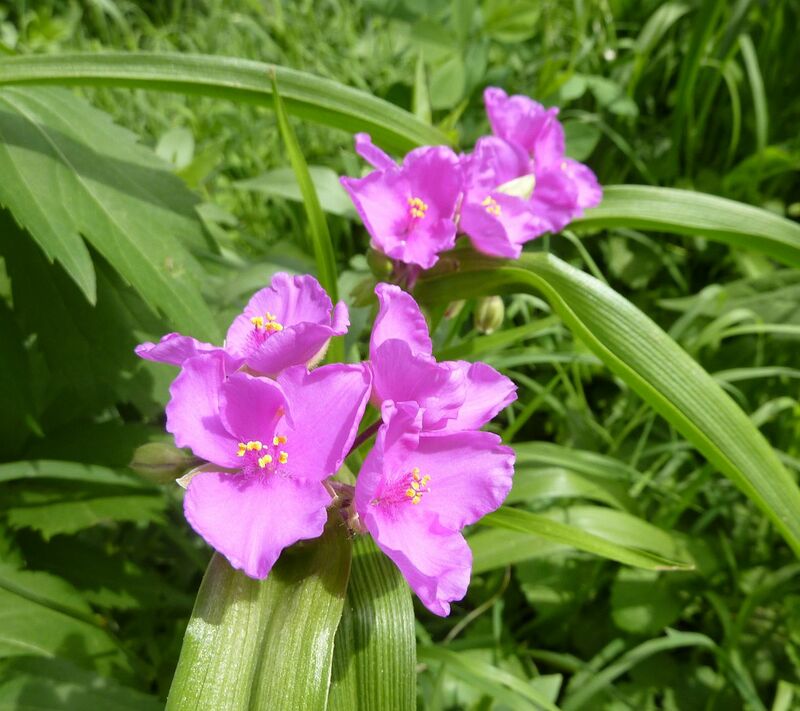 The Western Spiderwort, Tradescantia occidentalis, has really come a long way since I initially planted them. Back in 2011 these little plugs pushed out maybe one flower and that was it, a simple short lived bloom that faded after only one day. But now each has spread out into its own clump, pushing out several short lived flowers each day. If I recall right this plant dies back in the summer to make room for other meadow plants, but at it stands they're doing an okay job of suppressing the weedy sort of crabgrass I hate so much. I see early bumblebee workers working them along with our thorn-less blackberries. Good Monday! I loved seeing this in your blog this morning - I wrote about these wonderful plants for my column this week. 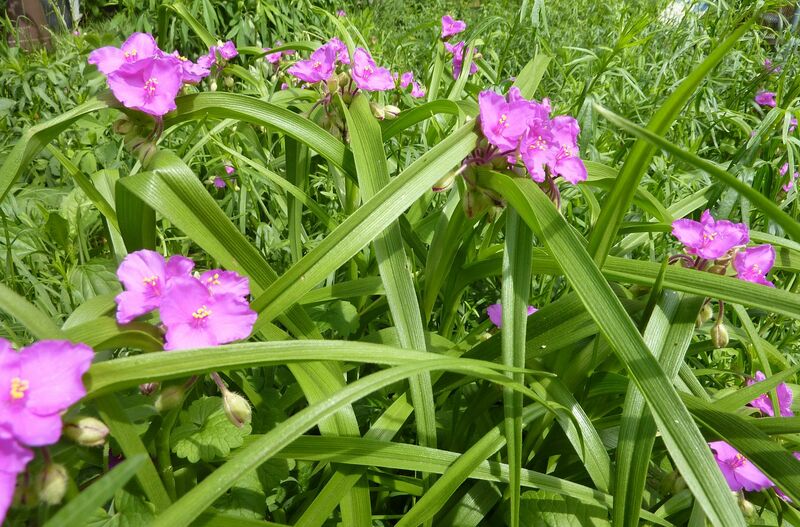 Love the one in your photo - it's native to our area and thrives here in NE OK in shade. One MO nursery sells it as groundcover for woodland areas.